In America, we consume twice as many material goods as we did fifty years ago. Over the same period, the size of the average American home has nearly tripled, and today that average home contains about three hundred thousand items. On average, our homes contain more televisions than people. And the US Department of Energy reports that, due to clutter, 25 percent of people with two-care garages don’t have room to park cars inside and another 32% have room for only one vehicle. Welcome to the state of the United States circa 2016 as eloquently captured in Joshua Becker’s most recent book, The More of Less. Joshua runs the incredibly popular blog Becoming Minimalist, is an author of four books, and co-founded The Hope Effect charity with his wife, which focuses on providing family-style homes to orphans around the world. Joshua’s journey into minimalism began years ago when he found himself spending a whole weekend day cleaning out and organizing his garage while his son begged him to play catch. As he looked at how he was spending his time, he came to realize something critically important about how he and his family were living. Frankly, it’s true about how most of us are living today. Our excessive possessions are not making us happy. Even worse, they are taking us away from the things that do. Once we let go of the things that don’t matter, we are free to pursue all the things that really do matter. Joshua and his family jumped into minimalism, working on shedding their possessions to live a more intentional life. 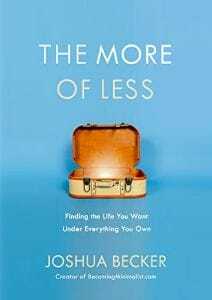 As you read The More of Less, you come to realize that Joshua’s definition of minimalism may not be what you expect but it beautifully highlights why the concept is so powerful and why it’s gaining steam in mainstream society. For many people, minimalism has a strong connotation of depriving oneself, foregoing material goods and conveniences in the name of being nonconformist. Joshua’s definition doesn’t talk about the what of minimalism as much as it talks about the why. While The More of Less has a great foundation on the philosophy and mindset behind minimalism, it also has a healthy dose of practical guidance to get you started in your journey. This book gives a great step-by-step approach to getting started in minimalism by getting small wins in certain spaces of your house and then branching outward. Joshua also gives guidance on how to approach minimalism with regard to your spouse and children. Beyond this, Joshua does a great job highlighting one of my favorite life-hacking tools - running personal experiments to test your limits and see what you really need. Experiment: I will live without _______ (possessions) for _______ days (or weeks or months). Based on my decision, I will either get rid of those possessions permanently and not miss them, or I will integrate them back into my life and feel comfortable with that choice. We used this methodology in our house before reading Joshua’s book so it’s great to see this here as well. I can personally attest to the amazing, freeing feeling you get when you realize the self-imposed boundaries and limits that you can get rid of. We experimented with having only one car for our family for several months before pulling the trigger and making it official by selling our Prius. We’ve got an active experiment right now where we have gone over 4 months without using our microwave. While we live in an 1900 square foot house, we’ve run experiments where we only used 1000 square feet as a way to prove to ourselves that we could downsize from this house and be perfectly happy. By the time you’re done with Joshua’s book you’ll either have already made some significant changes in your life or you’ll be energized and motivated to get started. 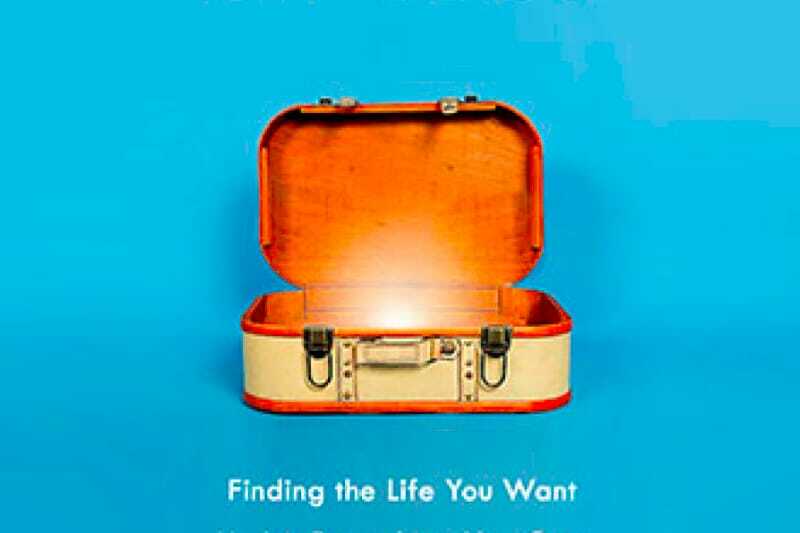 Joshua Becker sets out a clear vision of what life can hold for people willing to look beyond the material value of things and work toward maximizing personal value instead. There are more valuable pursuits available to us than the purchase and accumulation of material possessions. And when we begin to recognize these opportunities, removing every distraction that’s keeping us from them doesn’t feel like sacrifice. It feels like the smartest thing we could do with our lives right now. I really recommend you pick up The More of Less whether minimalism is a new concept to you or something you’ve been trying to practice but feel like you could use a shot in the arm. This book will give you the inspiration and practical tips you need to move with intentionality toward whatever is really important to you.